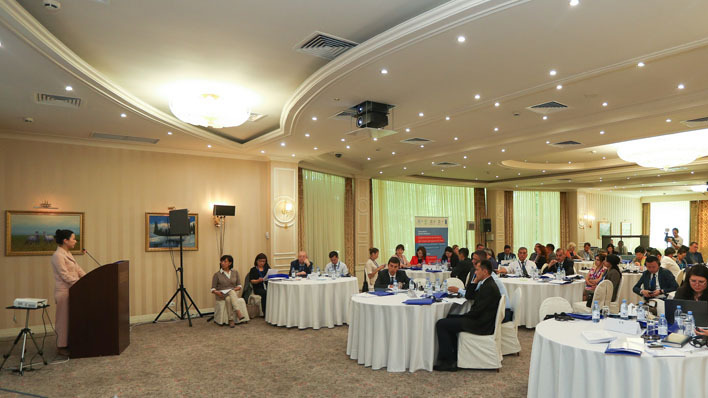 The sub-regional Meeting was held in Almaty, Kazakhstan on 24 May 2017, organized in the framework of the UNESCO Almaty Cluster Office programmes with the financial contribution from the UNESCO/Japanese Funds-in-Trust Project: ‘Support for Silk Roads World Heritage Sites in Central Asia (Phase II) and UN Development Programme in Kazakhstan. The meeting was opened by Mrs. Krista Pikkat, Director of the UNESCO Cluster Office in Almaty. She expressed her sincere wish to the delegates for a fruitful work and the hope that the participants would establish business relations to agree on further cooperation. The initiative of the meeting was also supported by the Ministry of Culture and Sports of the Republic of Kazakhstan. Mr. Askar Batalov, Vice Minister of Culture and Sports of the Republic of Kazakhstan, delivered the welcoming address on behalf of the Minister at the opening ceremony and informed participants on the situation in the sphere of tourism in the country. 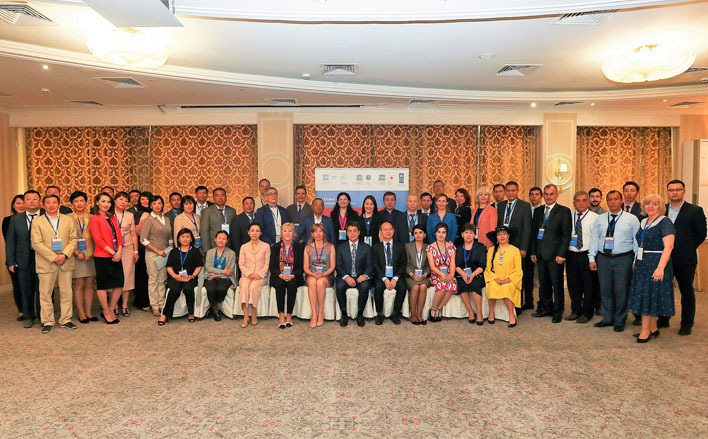 Representatives of Ministries, governmental orgaizations and NGOs from Kazakhstan, Kyrgyzstan, Tajikistan and Uzbekistan, as well as the experts from China and Australia took part in the work of the one-day meeting. Within the framework of the meeting agenda, the presentations revealed the issues of preservation of historical sites along the Great Silk Roads and the ways of attracting tourists' attention. Specialists and experts from UNESCO World Heritage Center, UNESCO Almaty Cluster Office, the World Tourism Organization, Australian University of Deakin and the Xi'an Research Association for Culture and Tourism along the Silk Roads presented interesting and informative reports. Also, delegations from Central Asian countries informed the meeting on the situation of tourism development and the state of conservation of the Silk Roads properties in their countries. The meeting was able to gather together representatives from culture sector, tourism and universities. Considering the importance of EXPO-2017 in Astana, this event should be used as promotion for Kazakhstan, which is the heart of the Silk Roads and it is very important to use this opportunity to promote sustainable tourism"
This year’s Almaty Meeting is especially relevant, as 2017 was proclaimed by United Nations as the International Year for Sustainable Tourism for Development. The United Nations General Assembly noted that “the importance of international tourism in fostering better understanding among peoples everywhere, in leading to a greater awareness of the rich heritage of various civilizations and in bringing about a better appreciation of the inherent values of different cultures, thereby contributing to the strengthening of peace in the world”. In addition, the promotion of sustainability aligned with the context of the 2030 Agenda for Sustainable Development. During the Central Asian sub-regional meeting, participants discussed recommendations and practical measures to present issues of the entire Silk Roads, not individual sites. Such approach would allow, on one hand, to develop tourism-related business, infrastructure and local entrepreneurship, and on the other hand, to ensure the preservation of cultural and natural heritage along Silk Roads. • Involvement of the local communities in a more active manner for implementing projects and solving problems. Based on the participants’ feedbacks, about 81% respondents mentioned that this meeting would help to improve their job performance, some of them would use knowledge in their teaching practice and in active promotion and advocacy of sustainable tourism along Silk Road routes. Almost 80% percent of participants also marked that the deep professional level of invited international and national speakers. Majority of guests proposed to organize similar meetings in the future on sub-regional level and highlighted the importance of capacity development for them. Participants from Central Asian Republics have developed and adopted a final document entitled the "Almaty Manifesto", which is considered to be one of the main results of the meeting.